Johannesburg - An online suicide game has hit South Africa and authorities are working on a plan to catch the would-be murderers behind this global phenomenon. The Hawks have confirmed that the Blue Whale Challenge has arrived in South Africa, but as yet there are no suicides attributed to it. However, at least three South African teenagers are known to have played the game, according to one cyber investigator and in one incident a player in Bronkhorstspruit was told to put a rope around their neck. Cyber investigator Jacques van Heerden said there had also been incidents in Roodepoort but that no criminal cases had been opened. The nature of the crime, because it is committed on the internet, makes it difficult to prosecute. Police sources said they knew of such incidents. “Parents need to be made aware that this is out there,” said Van Heerden. The game can be downloaded on to a cellphone as an app. Once someone signs up they are assigned a curator who instructs them to complete 50 tasks. The tasks vary and become more extreme as they progress. They begin with the player having to listen to a certain song, and waking up at odd times. Later they are asked to cut words or whale symbols into one’s skin. The final task is suicide. He added that the SAPS wanted the public to be aware of its existence. Not only are the police looking into this deadly game, support and advocacy groups are concerned and one academic is trying to find a way that will enable law enforcement can go after the people responsible. “I’m trying to prove a case for murder by setting up a framework for prosecution,” said Susan Snyman, who is in the IT faculty of Varsity College in Pretoria. It is the curators that, Snyman hoped, would be charged with murder. Players of the game, she says, are often introduced to these curators on forums known as Death Groups. “The battlefield is changing; they no longer need to be next to you to bully you or break you down,” said Snyman. She had been told by the police that they would be prepared to go after these curators, even if they were based overseas. “These curators are very intelligent and tech-savvy,” said Snyman, who believed they were part of a bigger network. She said sometimes, if a player wanted to leave the game, they were blackmailed. “They say we know who all your friends and family are and we will go after them if you don’t complete this game,” Snyman added.. The Blue Whale Challenge was first reported in 2013 and was allegedly invented by psychology student Philipp Budeikin. It is reported that he created the game to cleanse society through suicide of the weak. He was later arrested and pleaded guilty for inciting a number of teenage girls to commit suicide. But still, Snyman said, the game continued to evolve although what stays the same is the number of tasks they had to complete. 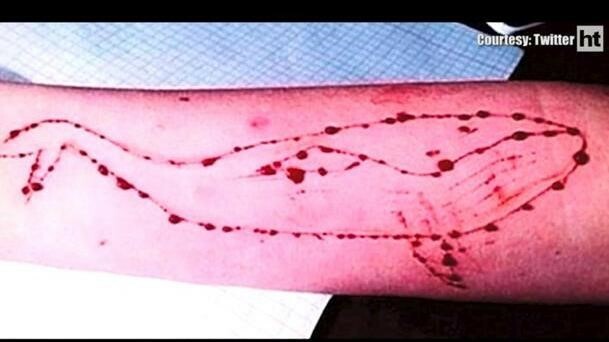 The South African Depression and Anxiety Group (Sadag) said that it had not received any calls related to Blue Whale. “It is not just Blue Whale, it is also a lot of other online activity like cyber bullying that parents need to be concerned with. “Parents need to know what their children are doing on line,” said Dessy Tzoneva, spokesperson for Sadag. She added that if anyone wanted to know more about Blue Whale, they could call them on 0800212223.